Proud to be Pembrokeshire’s leading commercial radio station, broadcasting local news and event information. Wake up with Mark & Laura, spend your day with Tommo and drive home to Lee Jukes playing the greatest hits from Fleetwood Mac, George Michael and Take That. We love getting involved with local sport and are proud to be an official partner of the Scarlets, Narberth RFC and Haverfordwest County FC. We organise three major awards events in the county each year. The highly anticipated Local Hero Awards allow us to recognise outstanding individuals from our county with a night of celebration and entertainment. The Young Achiever Awards celebrates the achievements of young people from Pembrokeshire, with a glamorous evening of celebration and acknowledgement. The Pembrokeshire Business Awards gives local businesses a chance to be recognised for their success throughout the county. Event sponsorship opportunities are available for local businesses to give back to the community. 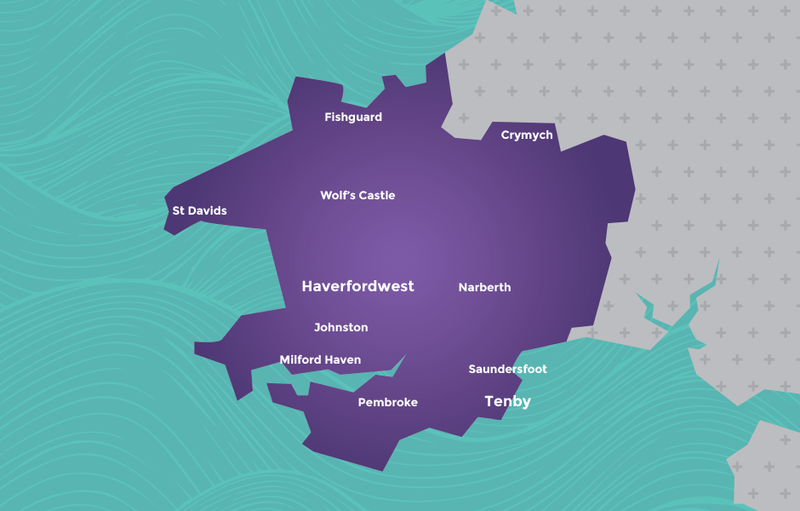 Radio Pembrokeshire has FM transmitters in Haverfordwest, Tenby and Fishguard and is also available on DAB Digital Radio across West Wales. 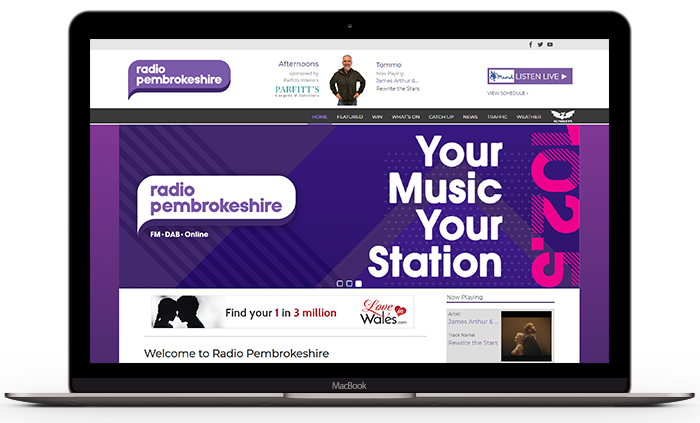 Radio Pembrokeshire offers local advertisers geographically targeted solutions with options available to transmit commercials across Pembrokeshire on 102.5 FM, 107.5 FM and DAB. The home of great music and up to date news for Pembrokeshire. So whether you are looking for breaking news stories, traffic updates, weather reports or simply looking for the hottest Gigs & Events, we will keep you updated all day, every day.